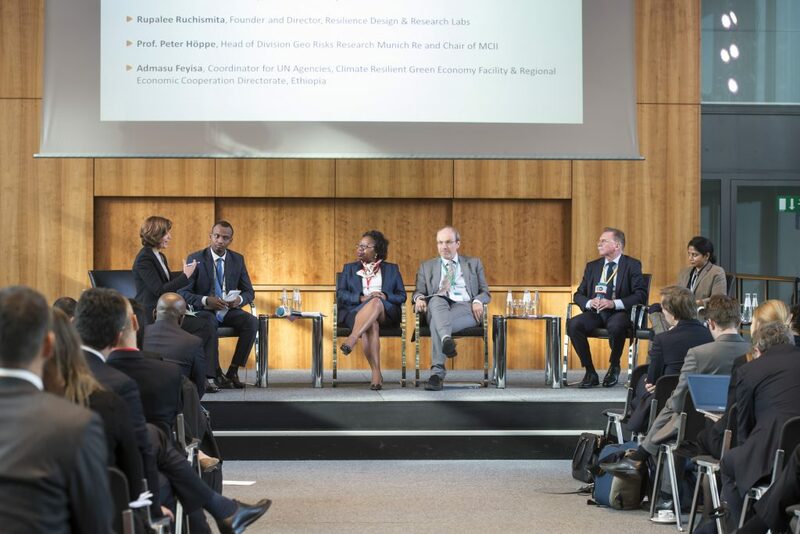 Bonn, 16/11/2017 – Only two days after the successful launch of the InsuResilience Global Partnership for Climate and Disaster Risk Finance and Insurance Solutions at COP23, the first Partnership Forum brought together signatories and aspiring members in a joint effort to lay the foundation for efficient collaboration in the field of financial protection against climate change. The InsuResilience Global Partnership builds on existing initiatives such as InsuResilience in order to expand financial protection for the world’s poorest and most vulnerable. It represents a joint effort of G20 and V20 countries to protect vulnerable populations from the adverse effects of climate change. More than 30 partners from governments, civil society, international organizations, academia and the industry have already expressed their support and commitment. The Global Partnership launch and initial Forum resonate with the vision of this year’s UN climate conference, COP23. The Presidency has put focus on the urgency of climate action for vulnerable societies, especially small island developing nations, and asked all UNFCCC countries to forge new alliances that span sectors in order to build greater resilience to climate change impacts. After a year of devastating extreme weather events, the Forum provided an inclusive platform for participants from all sectors to discuss the role of the Partnership for the broader resilience agenda, and to develop concrete priorities and measures that will help build greater resilience for disproportionately affected countries. A wish for inclusive discussion and active engagement was the defining characteristic of the day: An interactive framing session exploring the appropriateness of financial and insurance solutions for varying contexts, co-moderated by the Red Crescent Climate Centre and the World Bank, was preceded by two diverse expert panels on the vision and impact of the Partnership. In a number of afternoon working sessions organized by the World Bank, KfW, the Insurance Development Forum (IDF), A2R, MCII and the InsuResilience Secretariat, participants engaged in focused group talks to discuss challenges and opportunities. They devised concrete recommendations for advancing resilience to climate-related events through innovative finance and insurance solutions. The Global Partnership Forum will take place annually to facilitate communication and exchange of information and knowledge among its members. The initial Forum took place at Deutsche Welle Headquarters, within eyeshot of the COP23 conference venue.